Lesley Carter was appointed Principal of Nga Tawa in May 2016. She brings a deep understanding of secondary education and pastoral care in special character schools, where she has spent much of career. 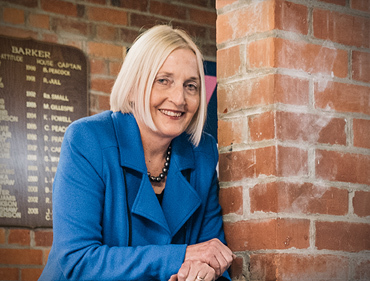 She also has extensive understanding of Nga Tawa’s community and special character through her roles over the previous 9 years as Deputy Principal, Pastoral Care leader and Director of International students. Lesley’s leadership has been instrumental in the school’s recent academic achievements. Nga Tawa students achieved a 100% pass rate in NCEA in 2016. Lesley’s vision is to enable Nga Tawa graduates to emerge as confident, articulate and resilient young women who are equipped to succeed at tertiary study and live lives of great meaning. "We describe Nga Tawa as being Made for Girls - that means knowing each Nga Tawa girl individually and catering for her specific learning needs."